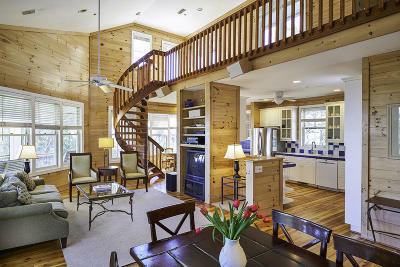 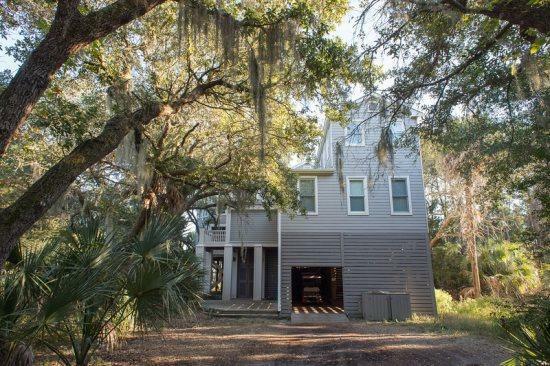 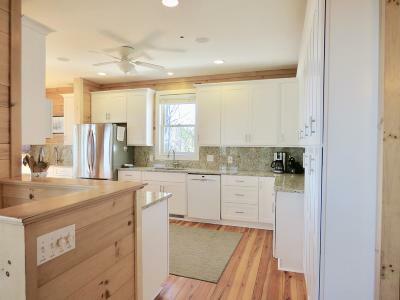 Unique chance for 6 bedrooms on private Dewees Island with incredible views of marsh and ocean. 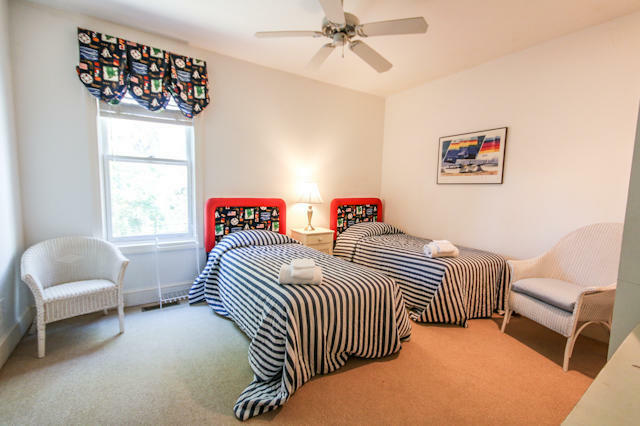 Separate guest suite with kitchen and living area. 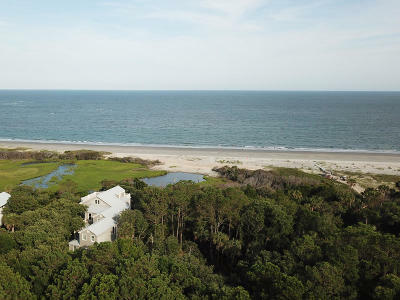 1 acre lot.Laid back large house with ocean and marsh views. 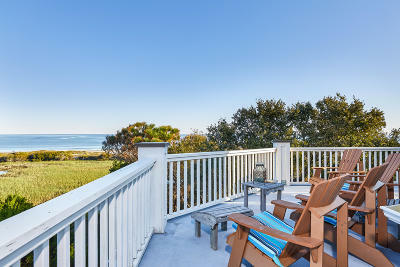 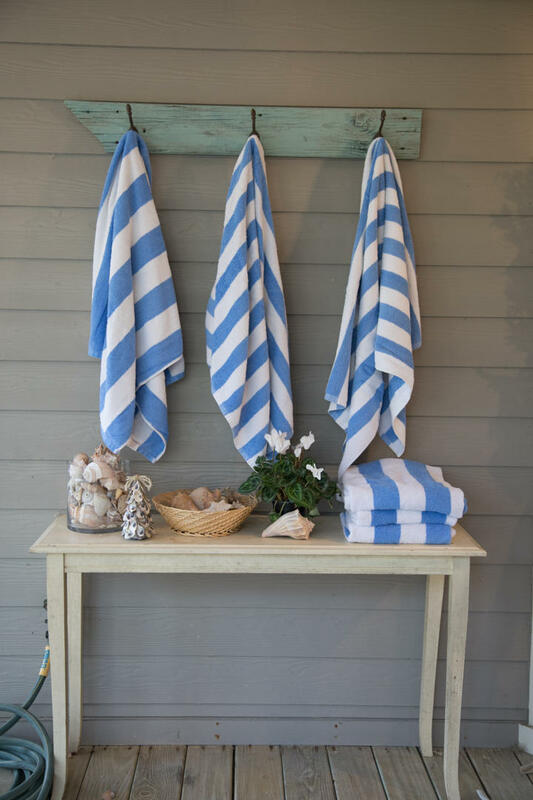 Head out the back door to the beach. 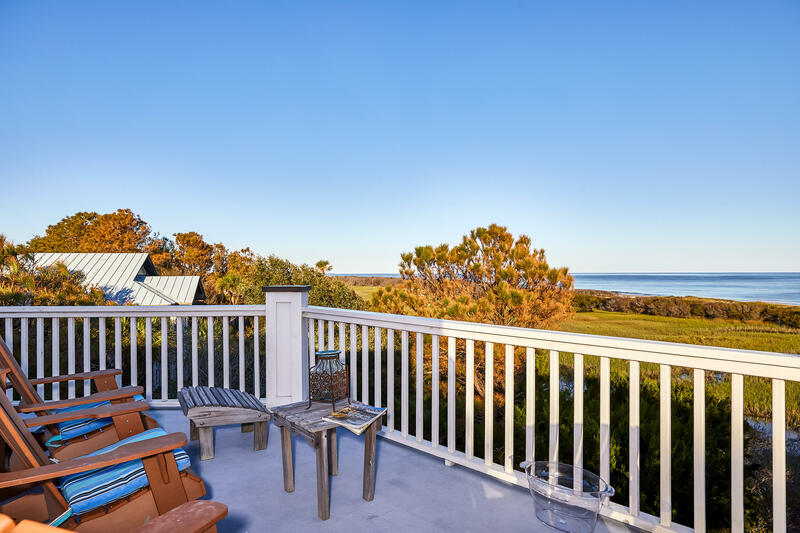 3 levels of porches allow you to experience the ocean breezes from the first level, the treetops on the second floor, and the skyview deck at the rooftop. 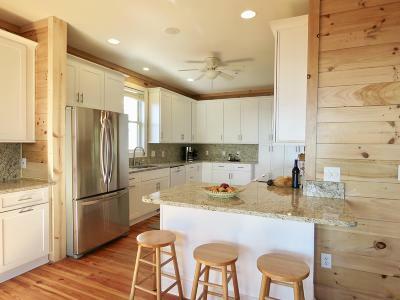 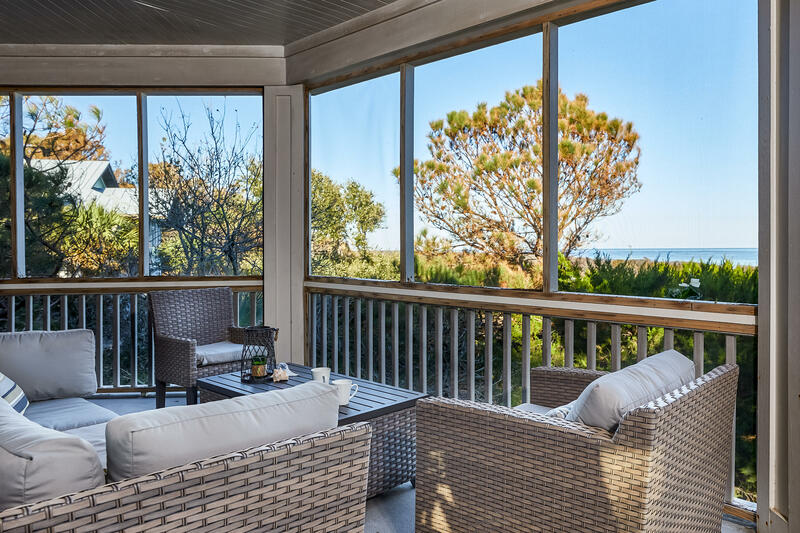 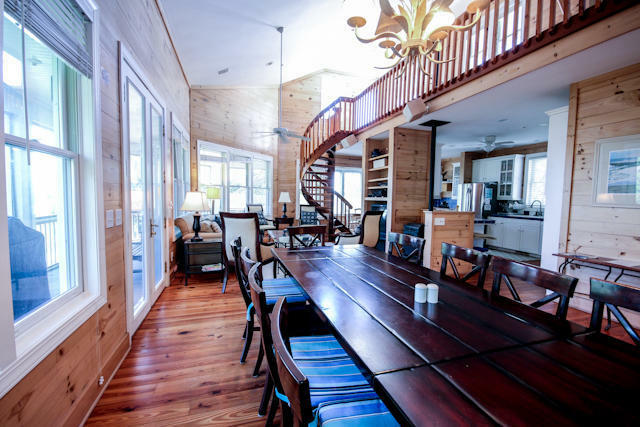 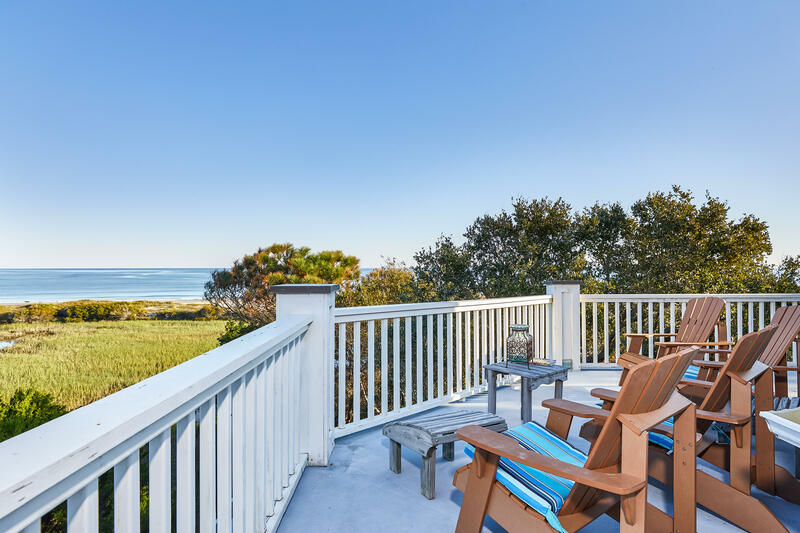 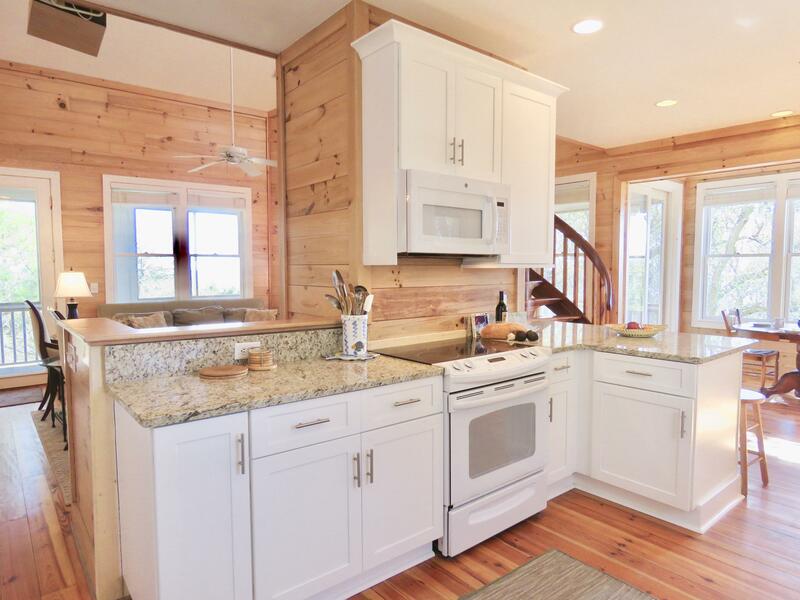 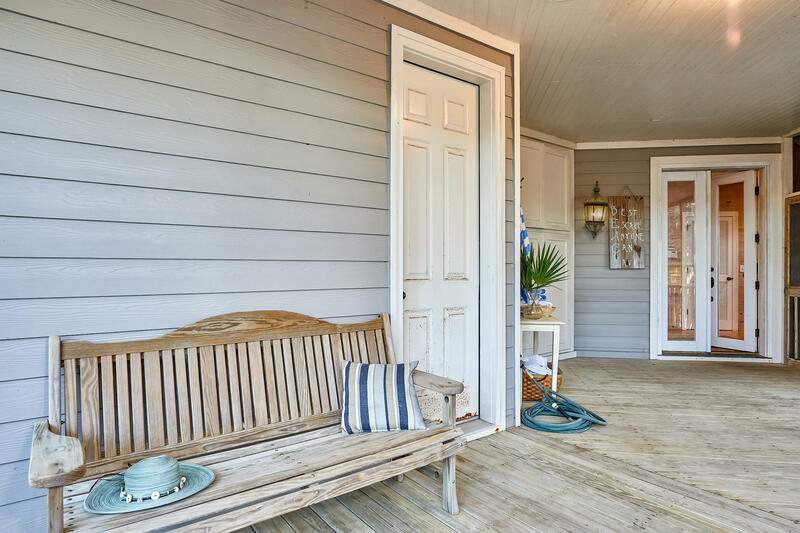 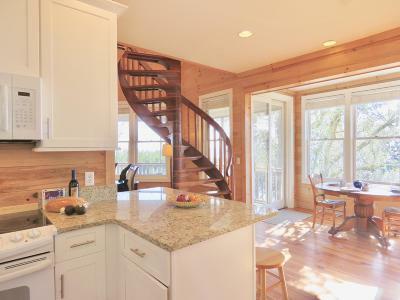 Eat breakfast on the deck and watch the ocean sparkle through the trees.Open floor plan on main living level connects kitchen, living, and dining areas. An airy staircase leads to the loft living room and rooftop deck with panaramic views. As far as you can see to the north, the beaches are protected from development-- it&apos;s the largest stretch of undeveloped coast on the Eastern Seaboa Main living area is anchored by a cozy pellet stove to keep the whole area warm in winter. 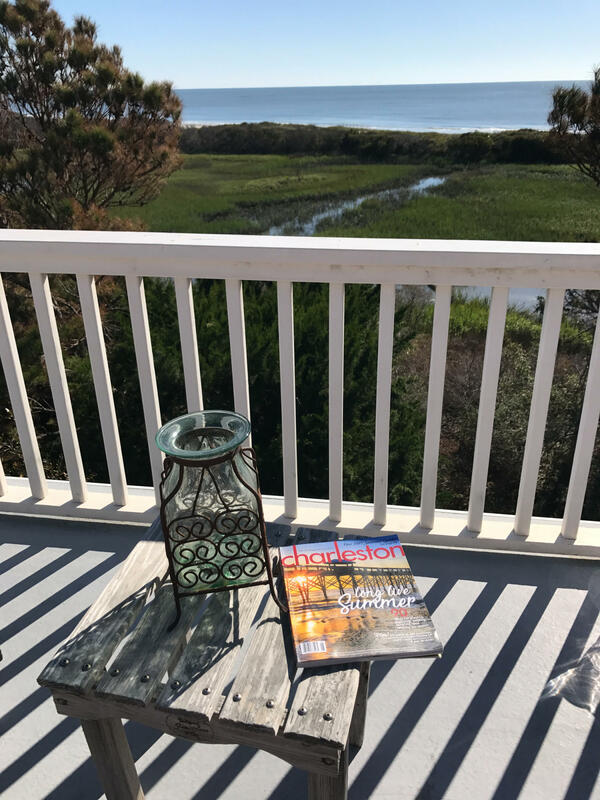 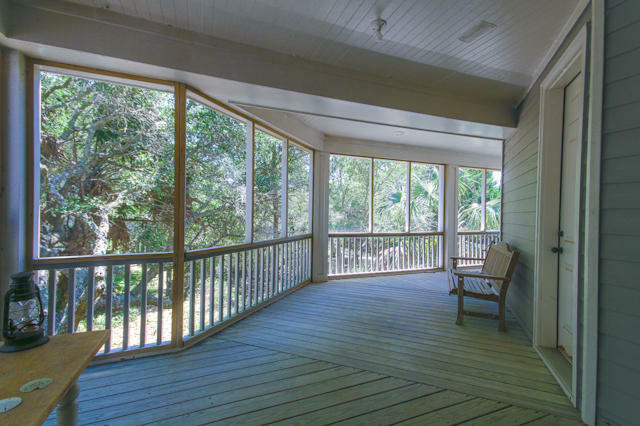 Wraparound porch creates a great area to rock and watch the ocean, as well as a shady overhang to shelter the main room from the summer sun. 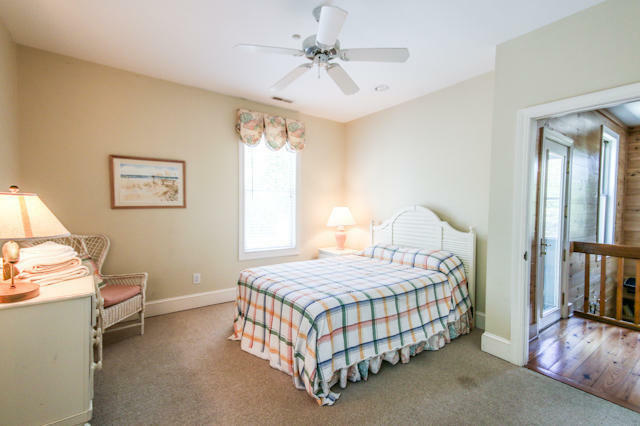 One bedroom on this bedroom is close to the action, and there is a half bath and laundry room nearby. 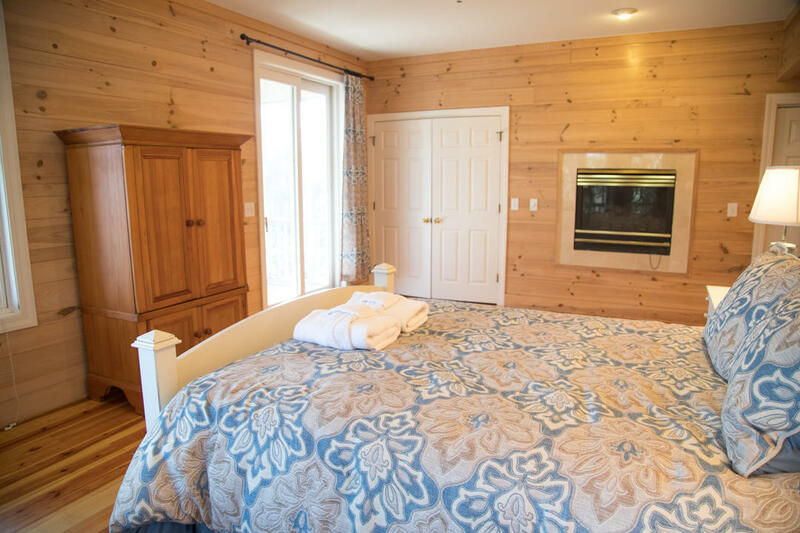 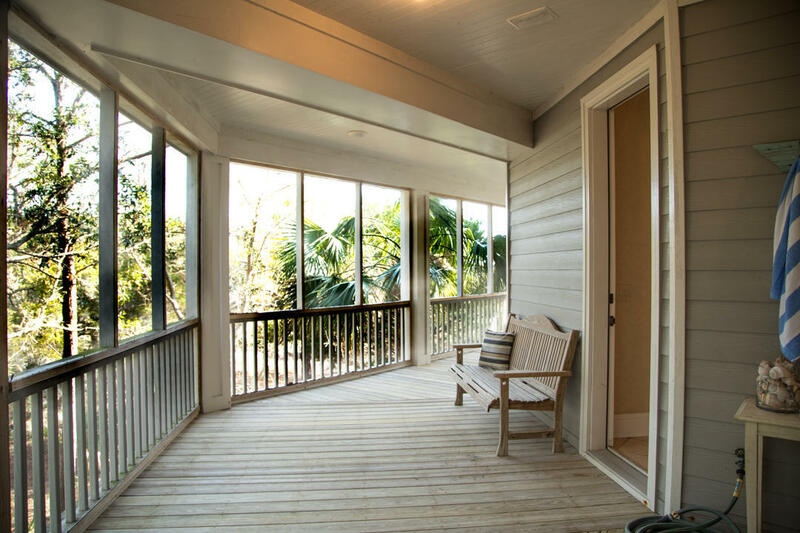 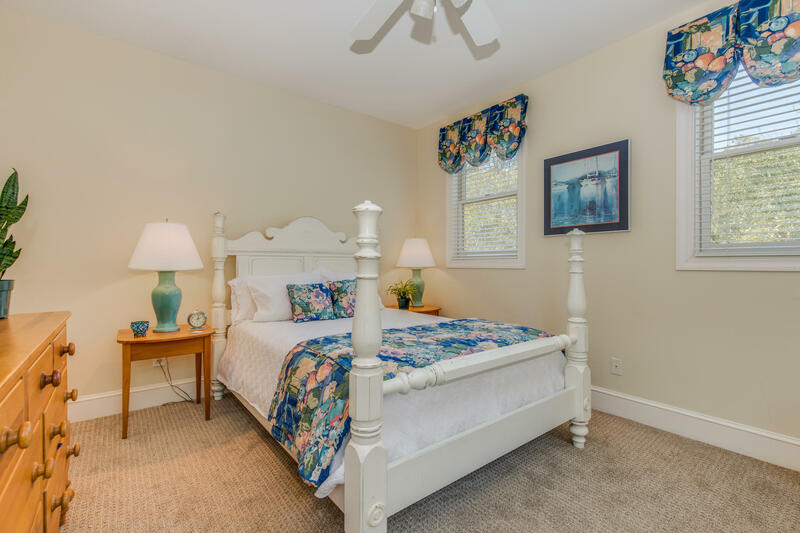 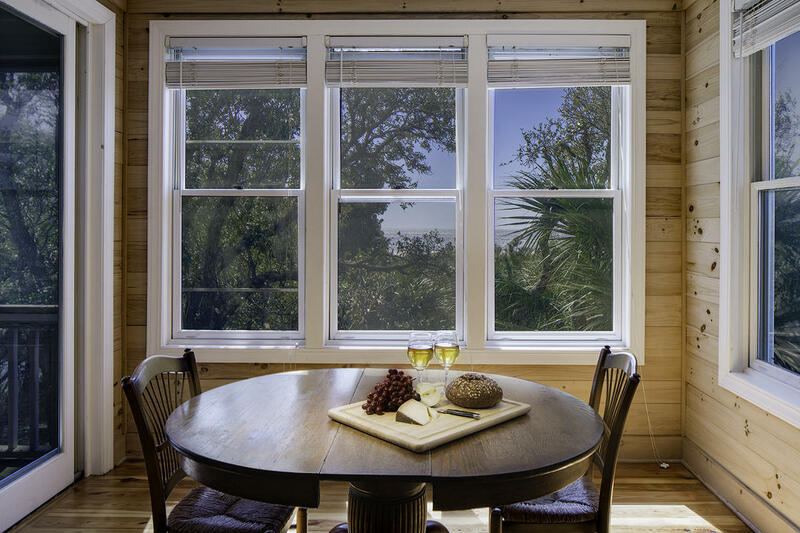 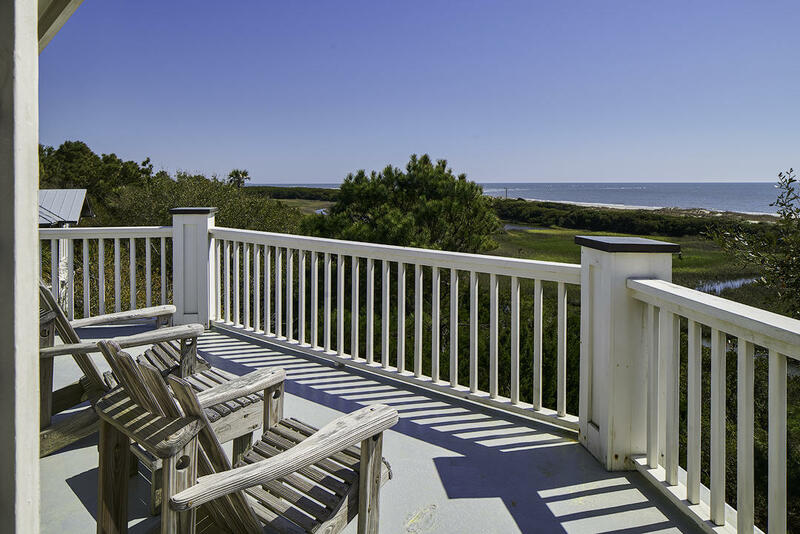 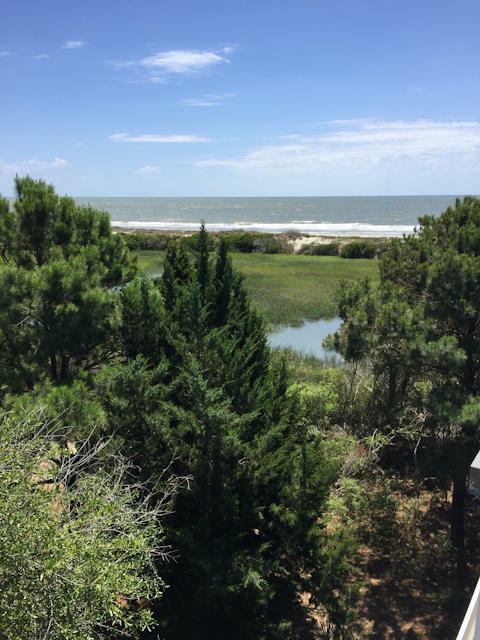 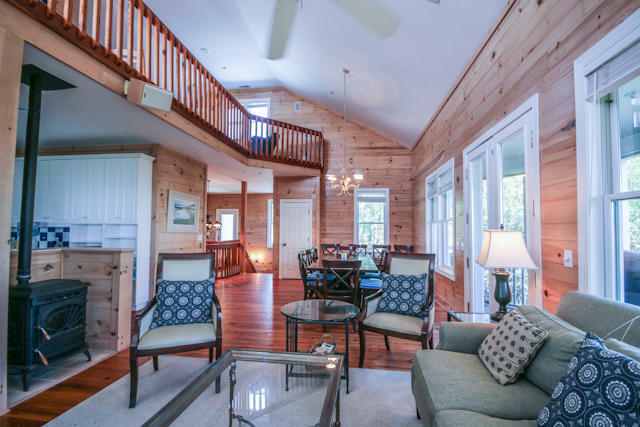 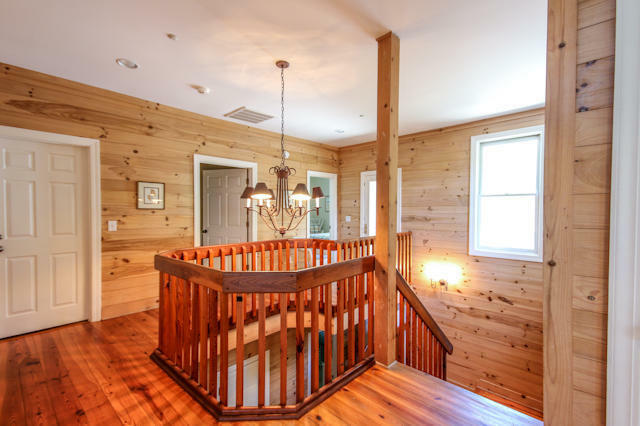 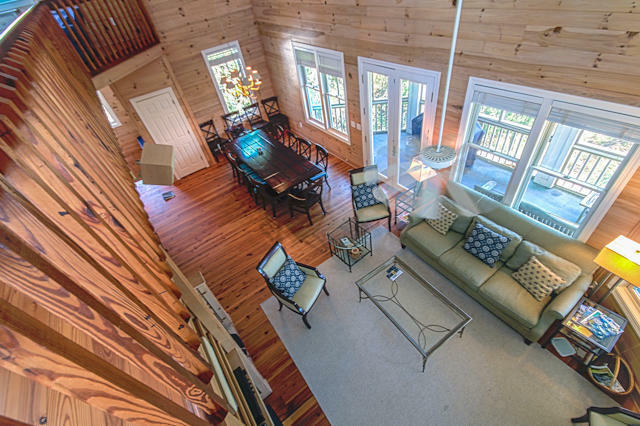 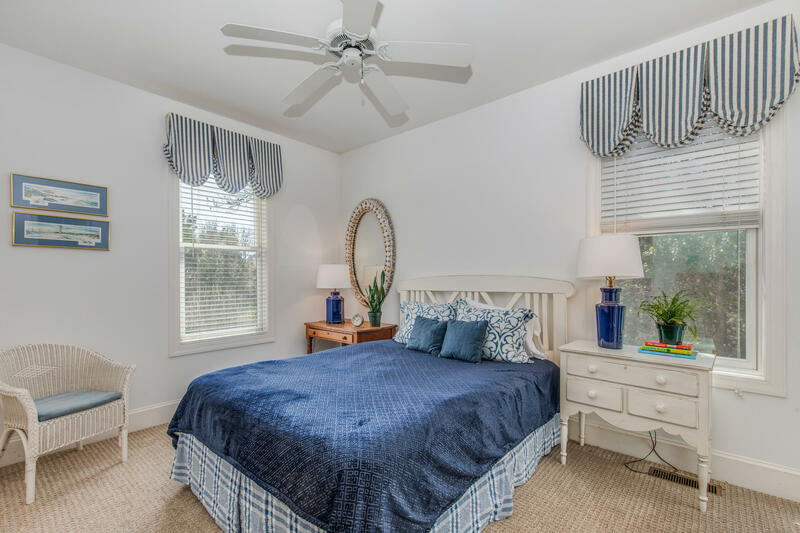 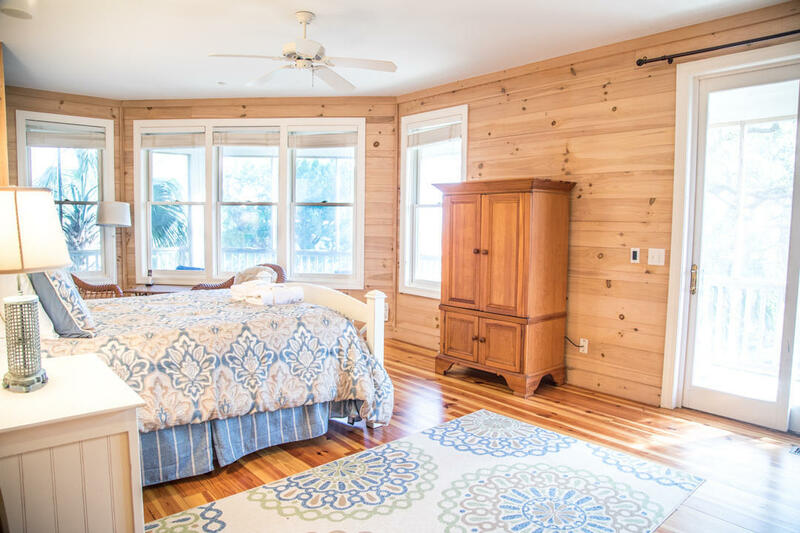 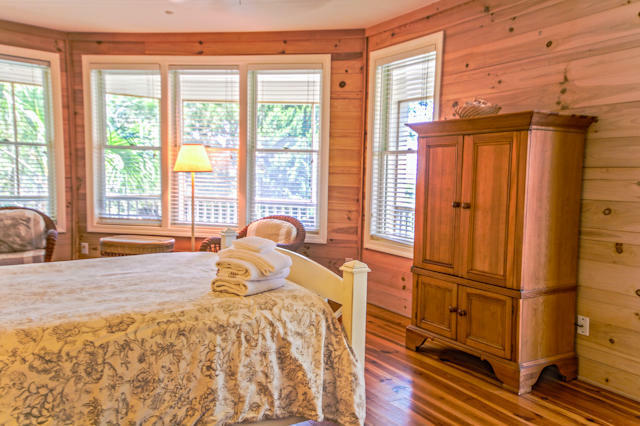 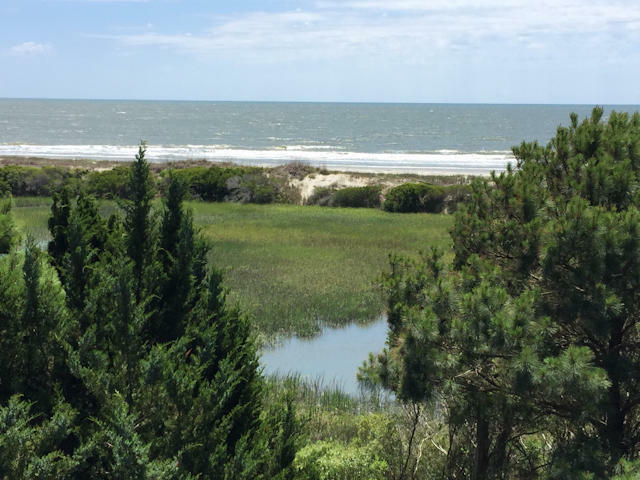 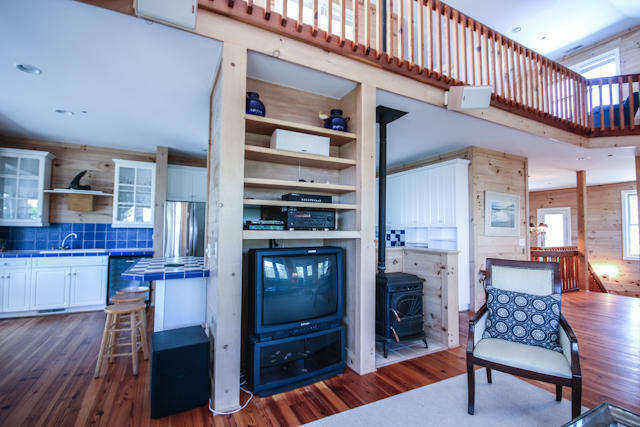 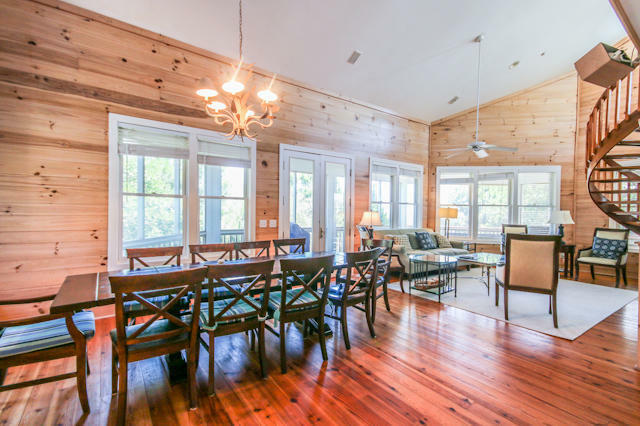 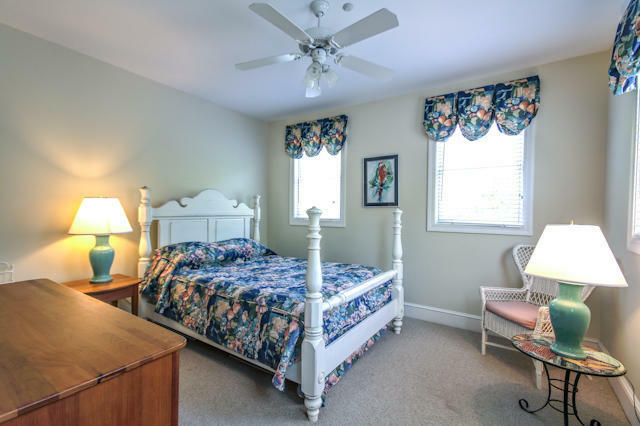 On the first level, the master bedroom overlooks the maritime forest and beach path, with it's own screened porch and full bath with outside entrance. 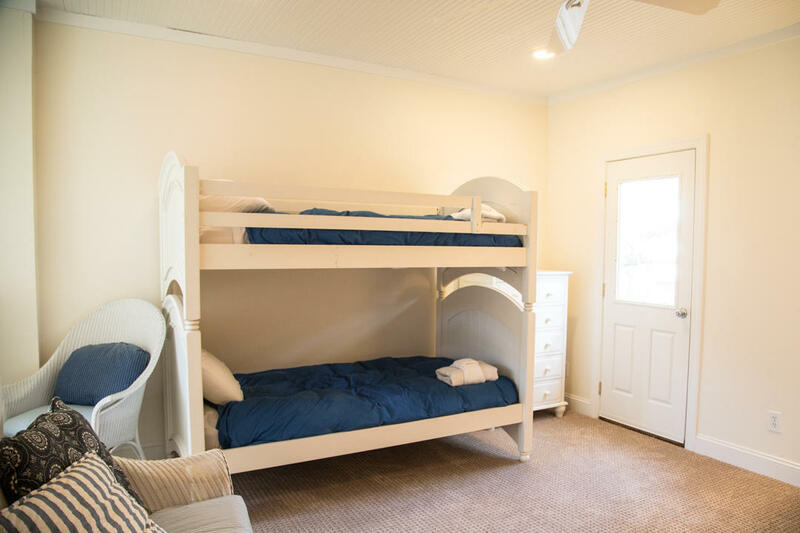 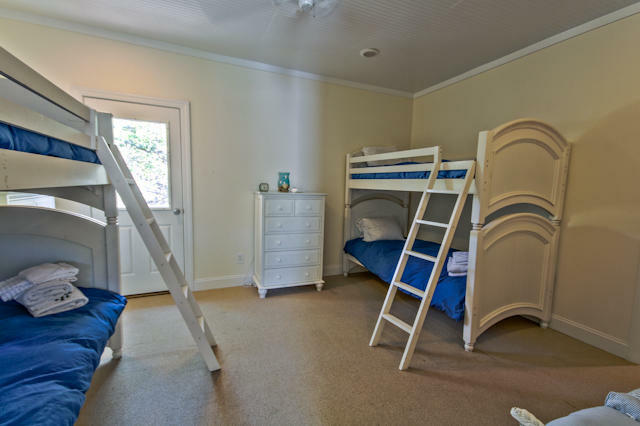 There are three more bedrooms on this level, and a bunk room with four bunks provides a transition connection between the main house and the guest cottage. 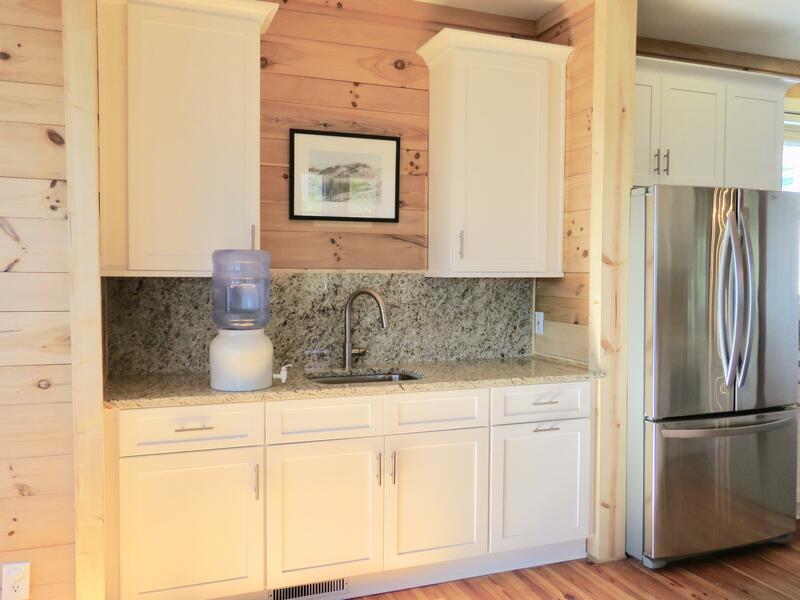 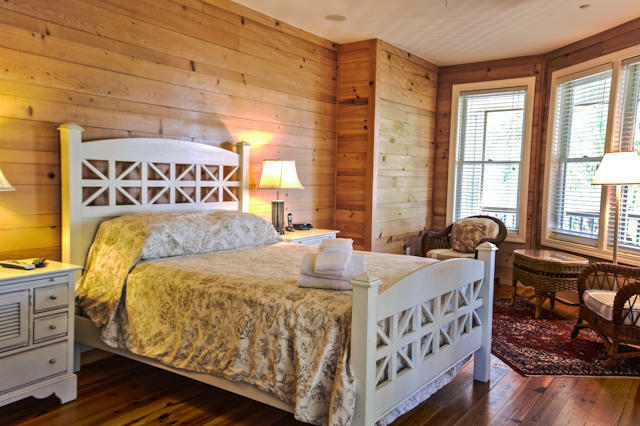 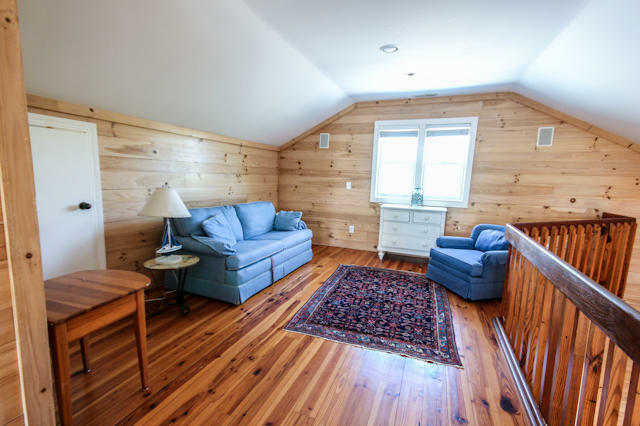 With its own entrance from the ground level, the guest cottage/in-law suite is an attached dwelling with one bedroom upstairs, a full kitchen and living area and bath. 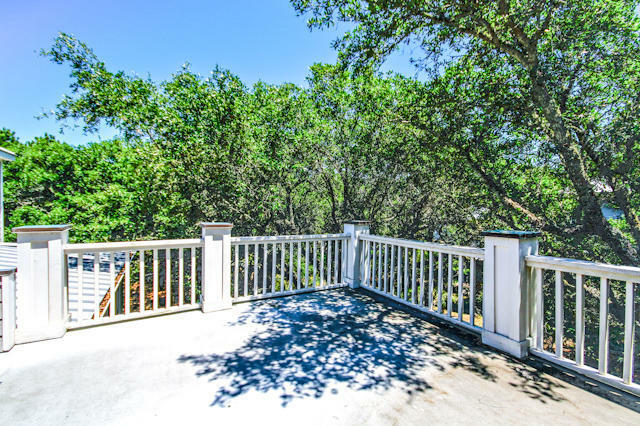 There is rooftop access to the open deck. 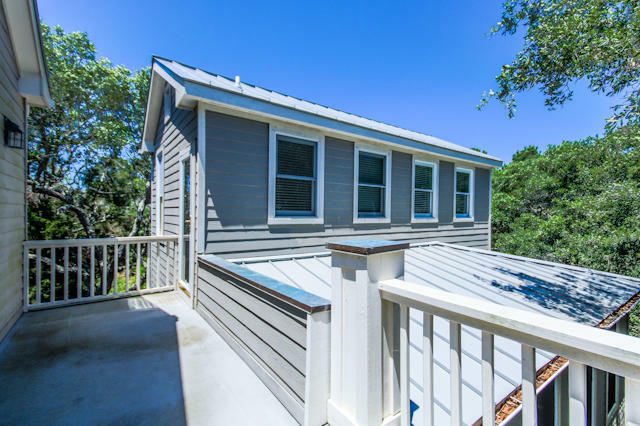 A brand new standing seam metal roof provides protection from the elements, and an elevator provides access to all floors of the main house. 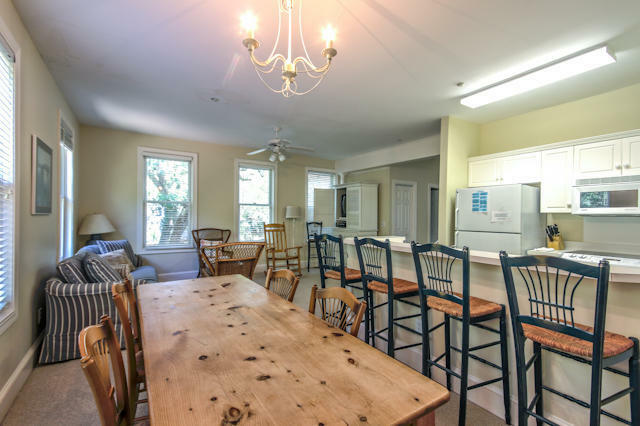 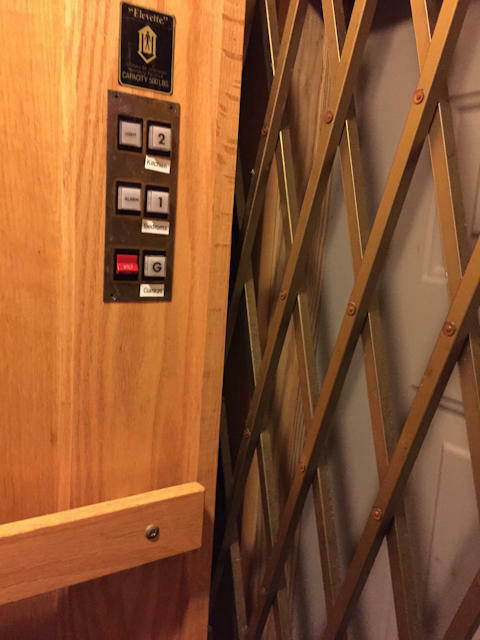 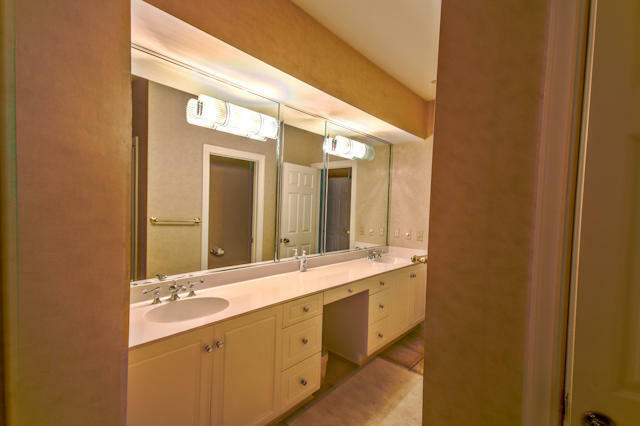 House has incredible rental history and would be fabulous full time residence.